MANILA -- Malacañang on Wednesday said the economic team of President Rodrigo Duterte has been monitoring the inflation with vigilance. Presidential Spokesperson Harry Roque made this assurance as inflation hit a nine-year high at 6.4 percent in August. 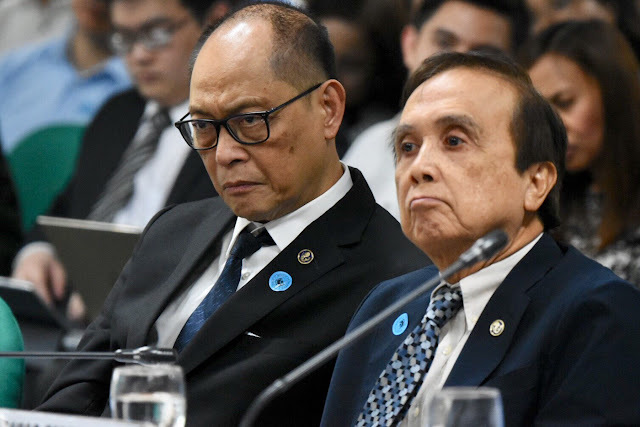 “The President’s economic team continues to monitor inflation with vigilance as government takes action to assist the poor while keeping the macro-economy stable,” Roque said in a statement. Roque said the Duterte government is also taking steps to address “the challenges particularly rising prices faced by Filipino families”. According to the Philippine Statistics Authority (PSA), the inflation or the increase of prices of goods in August was higher compared to 5.7 percent recorded in July. It is also the highest since March 2009 when inflation registered at 6.6 percent. Department of Budget and Management (DBM) Secretary Benjamin Diokno said a big chunk of the August inflation was due to the rise in food prices particularly fish, rice, other meat and vegetables. “The government efforts to tame inflation remain appropriate but must be delivered with greater sense of urgency,” Diokno said in a statement given to Palace reporters. Diokno said the social mitigating measures, such as the unconditional cash transfer (UCT) program and Pantawid Pamilyang Pilipino Program (4P), “should be delivered much faster”. The government has allocated PHP25.6 billion for the UCT program this year - with each beneficiary getting PHP200 monthly subsidy. He urged Congress to act on the rice ratification bill “expeditiously”. Recently, the government started the release of Pantawaid Pasada Program fuel cards containing PHP5,000 each as subsidy for operators and drivers of public utility jeepney (PUJ).